Mondial International specializes in manufacturing disposable baby diapers to compete in the world market. Our expertise is providing global wholesale and distribution companies with many options to fit their existing or future needs. Our baby diapers are manufactured with Velcro Hook or Tape and sold thru local agents across the Globe. We offer many packing alternatives; private label, control label, generic label, institutional clear bag; retail and Bulk. 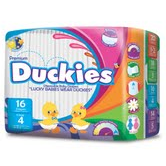 We maintain for our clients in developing countries the largest ongoing inventory of Baby Diaper bulk Seconds in the Americas, from our group of factories in the USA, Canada, Europe and Latin America. All our Baby Diapers are Full feature Premium Quality Disposable Diapers. Mondial products are manufactured using only the finest 100% Virgin raw materials, Made in the USA. We use only a soft cloth alike breath-able, stay-dry cover sheet which keeps the baby dry while the super absorbent core (SAP) pulls moisture away from baby's delicate skin. Our diaper outer cover is designed for maximum breath-ability to help avoid skin heat rash and our optional Aloe Vera & Vitamin E extract helps provide a soothing effect for even greater dryness. We offer top quality and national brand name-equivalent performance at an economical price.